A real pro for home or contractors. 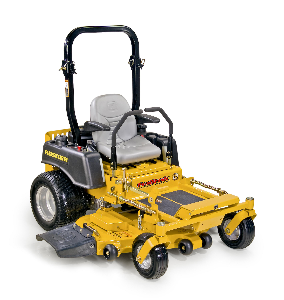 The new FasTrak™ Super Duty is a step up to a true, commercial-duty mower for the discriminating homeowner or contractor. Larger tyres and higher horsepower make this an extremely handsome package. Are you ready for the most dominant machine on the block? We took the formidable FasTrak™ and raised the stakes. 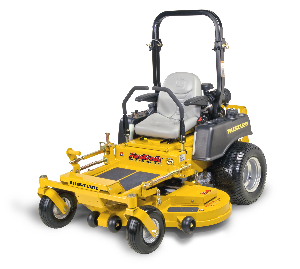 The FasTrak™ Super Duty is a true commercial-grade mower, built for the homeowner who wants more of everything – more horsepower, wider tires, a welded steel deck and neighborhood braggin’ rights. SmoothTrak™ steering makes operating a breeze – from zero-turn in tight spaces to covering straightaways at an industry-setting 8 mph. Most important, the FasTrak Super Duty delivers a professional cut every time. The Super Duty has it all, and can do it all. If you’re ready for the king of the hill, it’s time to climb aboard a FasTrak Super Duty. 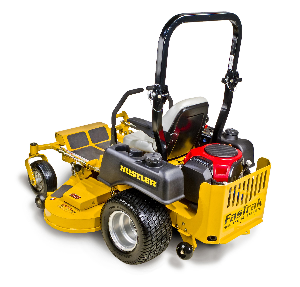 Find out more about the accessories you can use on Hustler mowers. Welded steel decks. NOT STAMPED! 0-12.87 kph to get the job done fast!